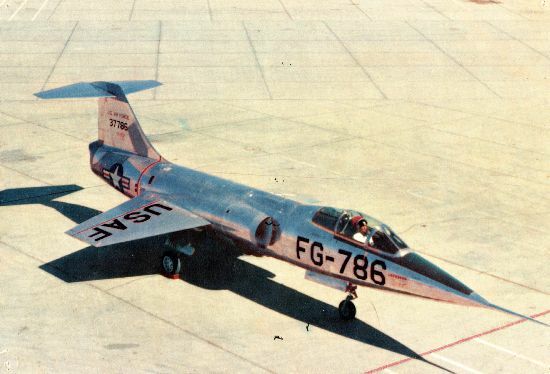 4 March 1954: Lockheed test pilot Anthony W. LeVier takes the prototype XF-104 Starfighter, 53-7786, for its first flight at Edwards Air Force Base in the high desert of southern California. 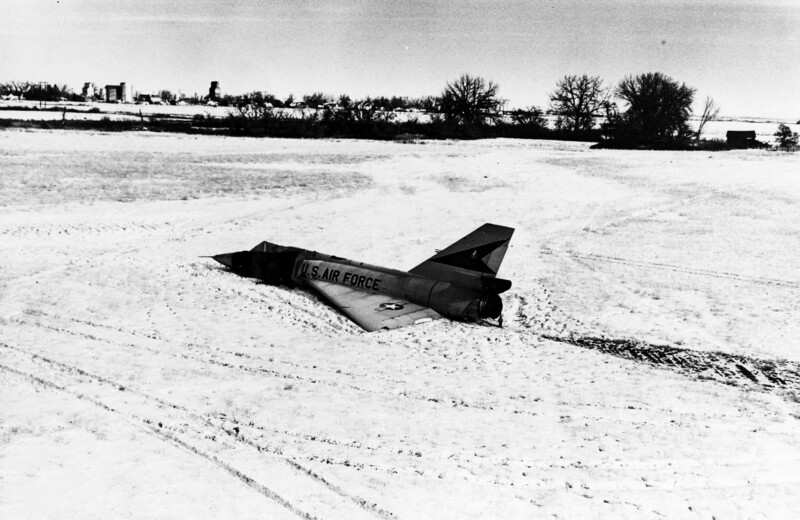 The airplane’s landing gear remained extended throughout the flight, which lasted about twenty minutes. 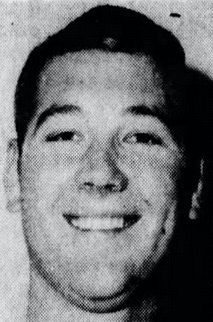 Tony LeVier was a friend of my mother’s family and a frequent visitor to their home in Whittier, California. 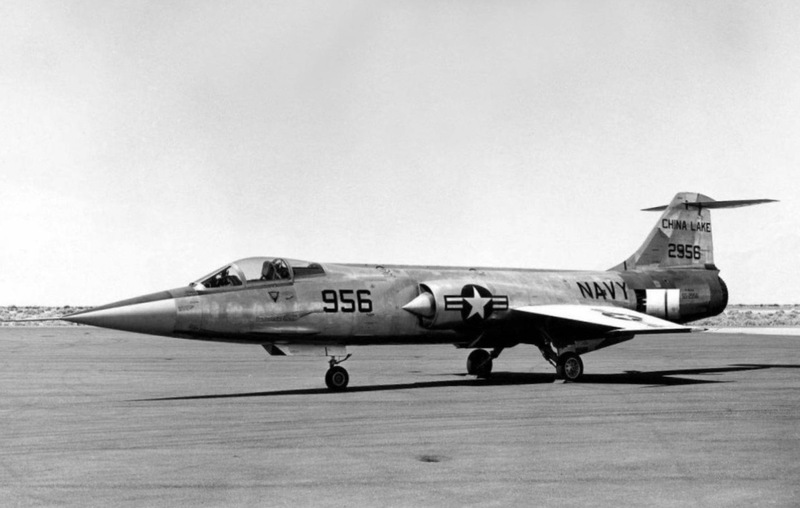 There were two Lockheed XF-104 prototypes. 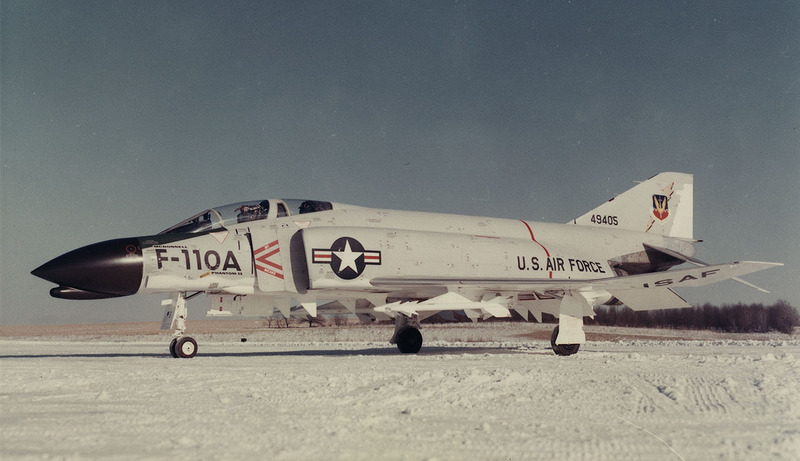 Initial flight testing was performed with 083-1001 (USAF serial number 53-7786). 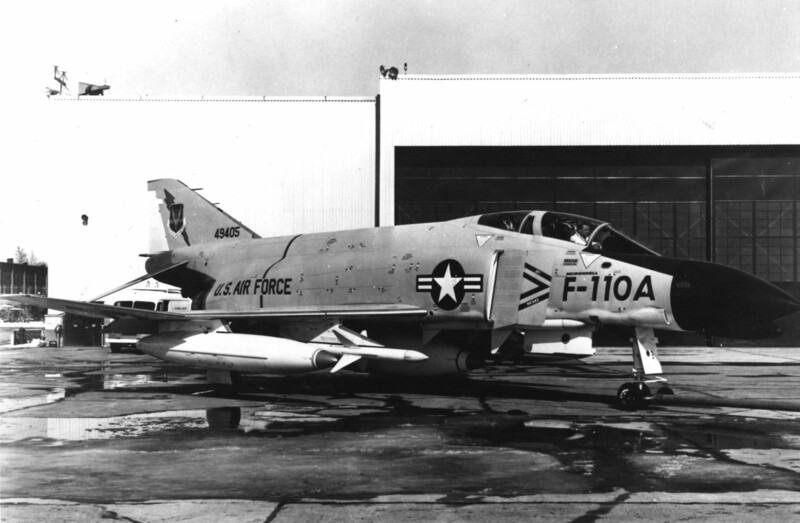 The second prototype, 083-1002 (53-7787) was the armament test aircraft. 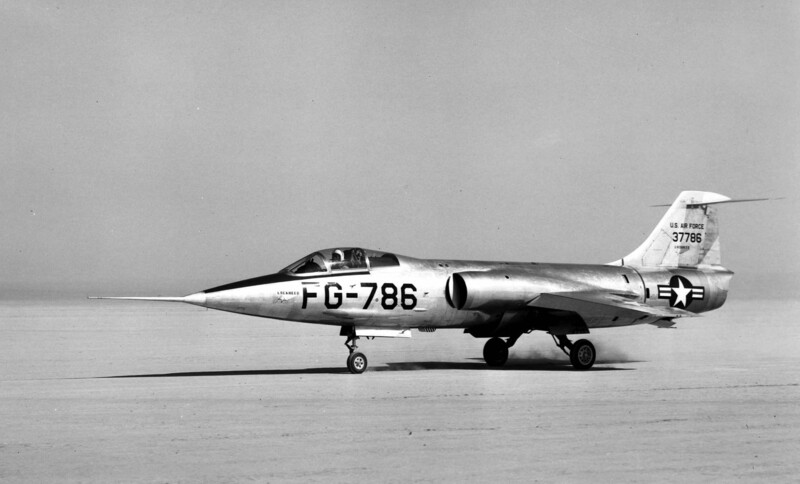 Both were single-seat, single-engine supersonic interceptor prototypes. 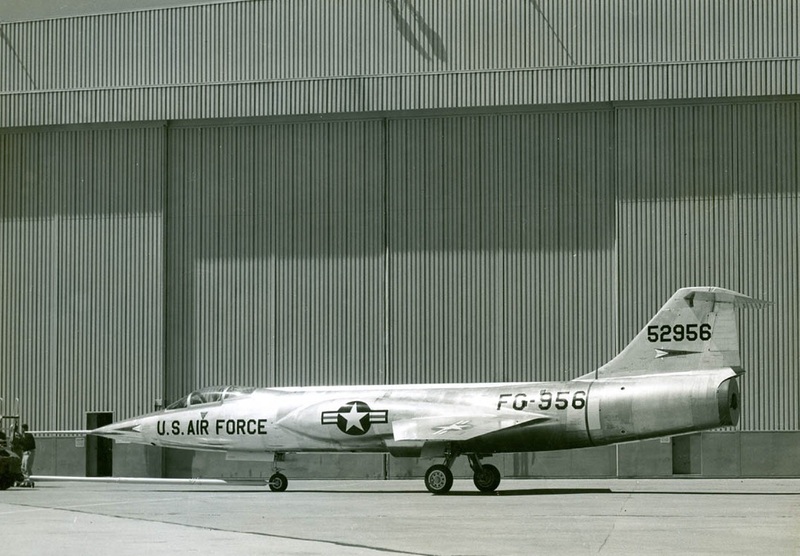 The XF-104 was 49 feet, 2 inches (14.986 meters) long with a wingspan of 21 feet, 11 inches (6.680 meters) and overall height of 13 feet, 6 inches (4.115 meters). 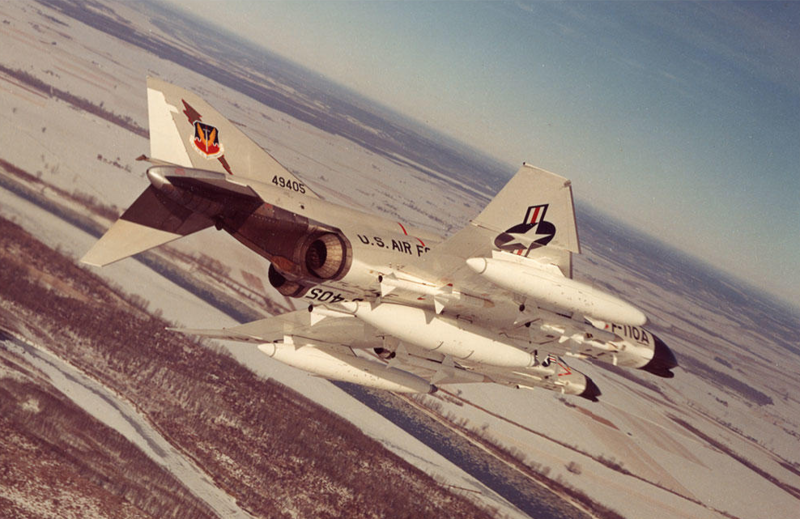 The wings had 10° anhedral. 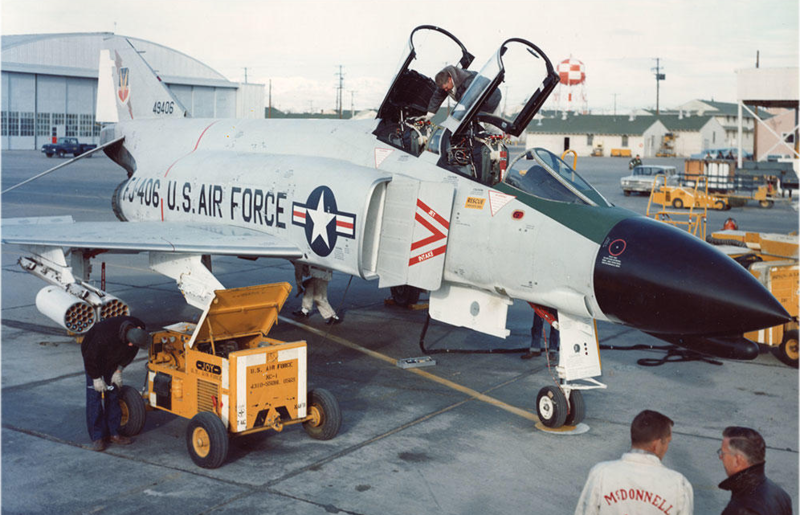 The prototypes had an empty weight of 11,500 pounds (5,216 kilograms) and maximum takeoff weight of 15,700 pounds (7,121 kilograms). 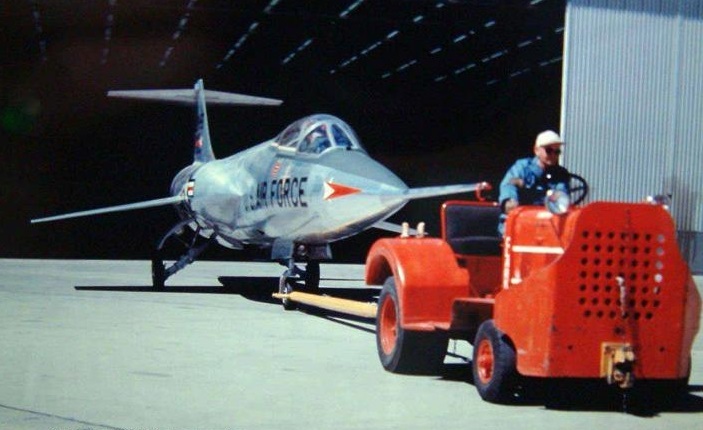 The production aircraft was planned for a General Electric J79 afterburning turbojet but that engine would not be ready soon enough, so both prototypes were designed to use a Buick-built J65-B-3, a licensed version of the British Armstrong Siddeley Sapphire turbojet engine. 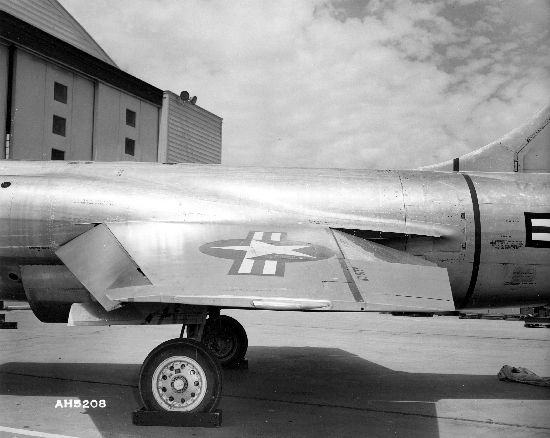 The J65-B-3 was a single-shaft axial-flow turbojet with a 13-stage compressor section and 2-stage turbine. 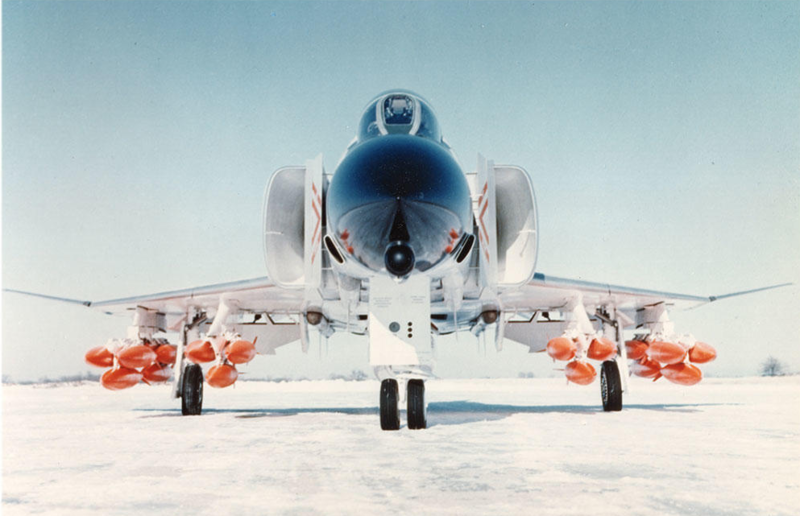 It produced 7,200 pounds of thrust (32.03 kilonewtons) at 8,200 r.p.m. 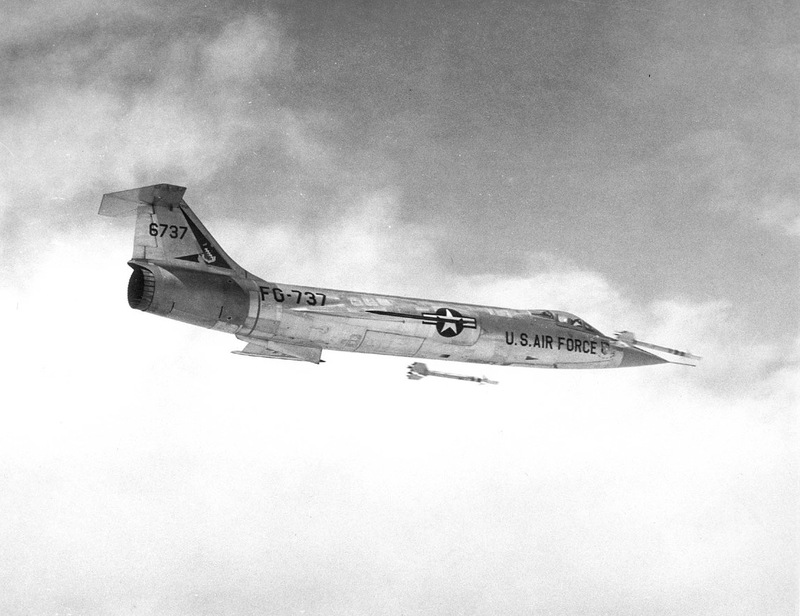 The J65-B-3 was 9 feet, 7.0 inches (2.921 meters) long, 3 feet, 1.5 inches (0.953 meters) in diameter, and weighed 2,696 pounds (1,223 kilograms). 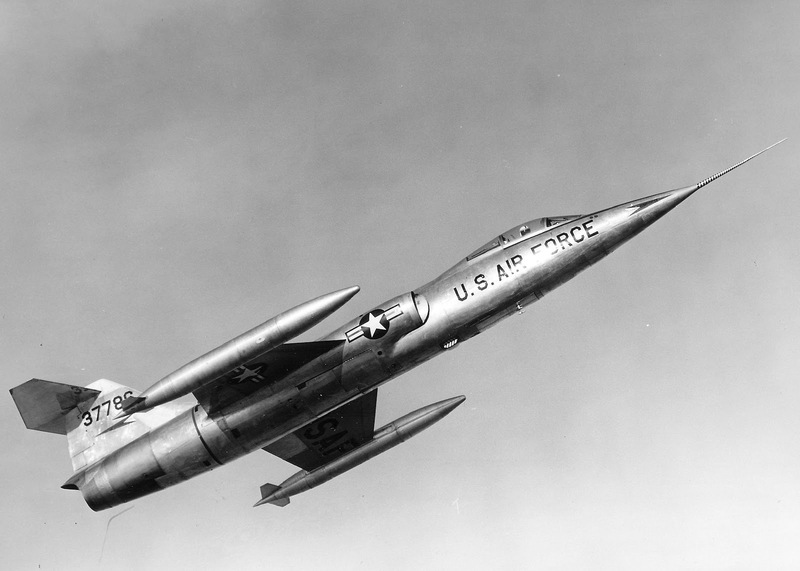 On 15 March 1955, XF-104 53-7786 reached a maximum speed of Mach 1.79 (1,181 miles per hour, 1,900 kilometers per hour), at 60,000 feet (18,288 meters). 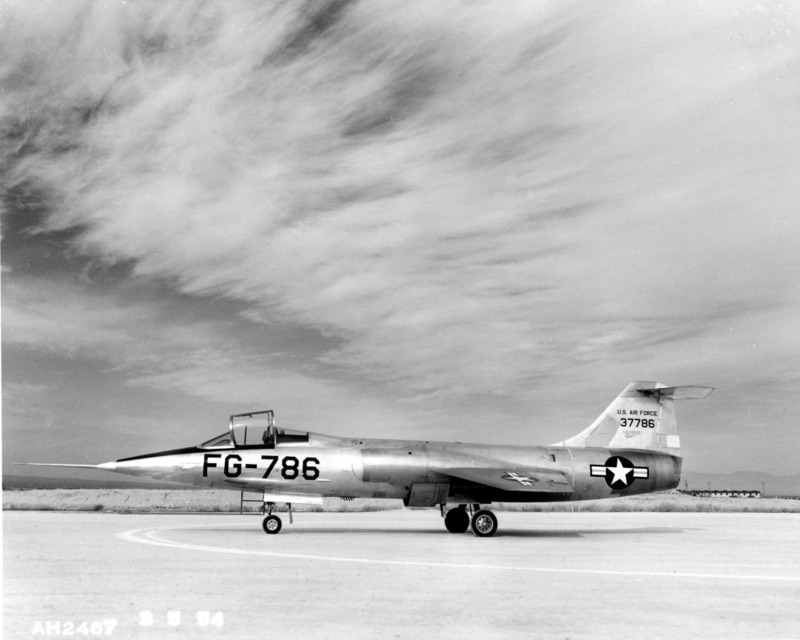 XF-104 53-7786 was destroyed 11 July 1957 when the vertical fin was ripped off by uncontrollable flutter. 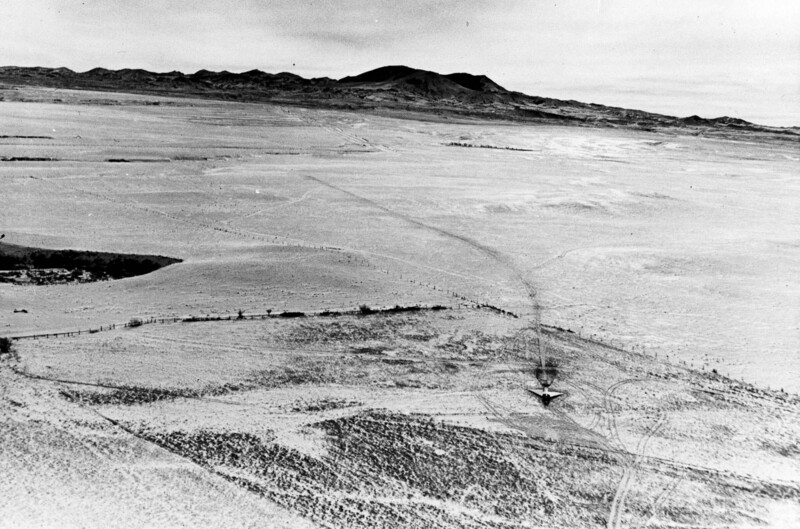 The pilot, William C. Park, safely ejected. 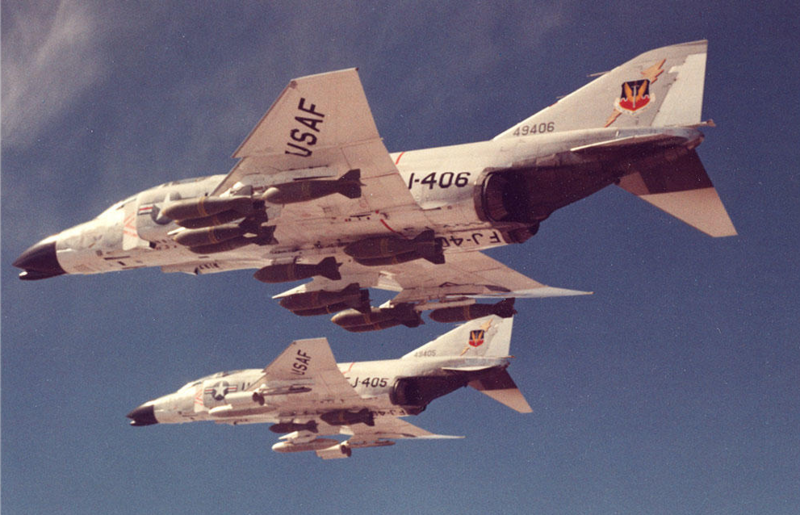 Intended as a replacement for Convair’s F-106 Delta Dart, three pre-production YF-12As were built for testing. 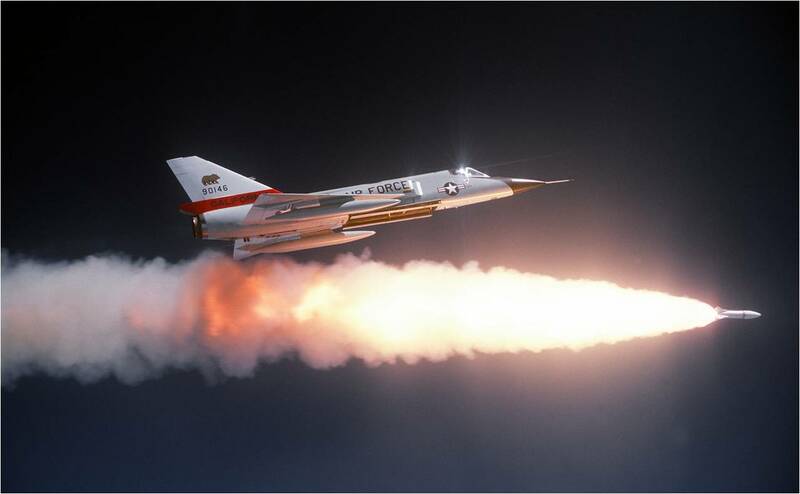 On 1 May 1965, a YF-12A set a speed record of 2,070.103 miles per hour (3,331.507 kilometers per hour) and reached an altitude of 80,259 ft (24,463 meters). 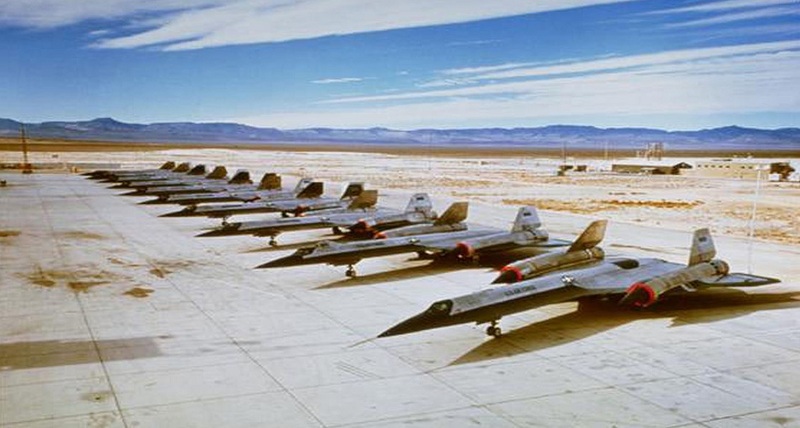 The reason for President Johnson’s announcement of the existence of the YF-12A prototypes was to conceal the existence of the Central Intelligence Agency’s fleet of Lockheed A-12 Oxcart reconnaissance aircraft based at Groom Lake, Nevada. 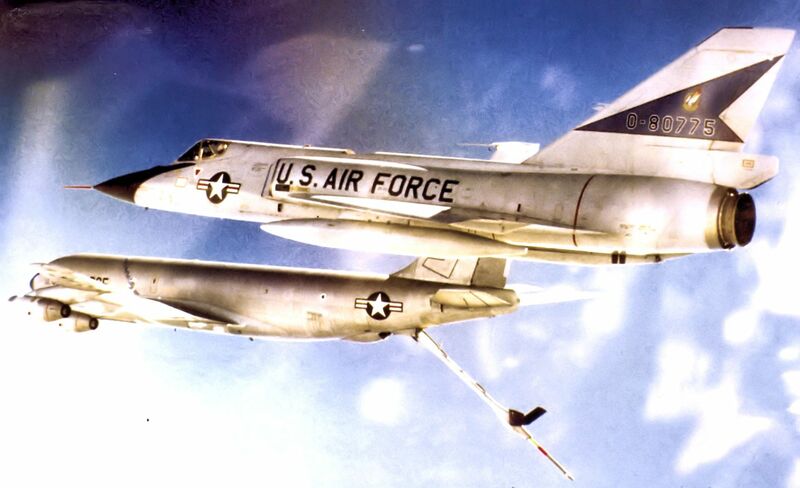 Any sightings of these aircraft could be attributed to test flights of the YF-12As based at Edwards Air Force Base, 160 miles (258 kilometers) to the southwest. 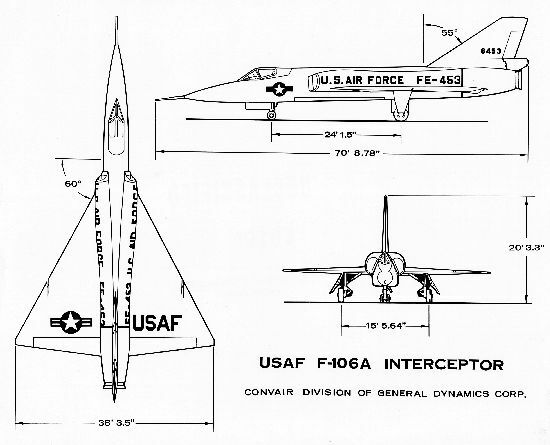 The YF-12A interceptor is very similar to its A-12 Oxcart and SR-71A Blackbird stablemates. 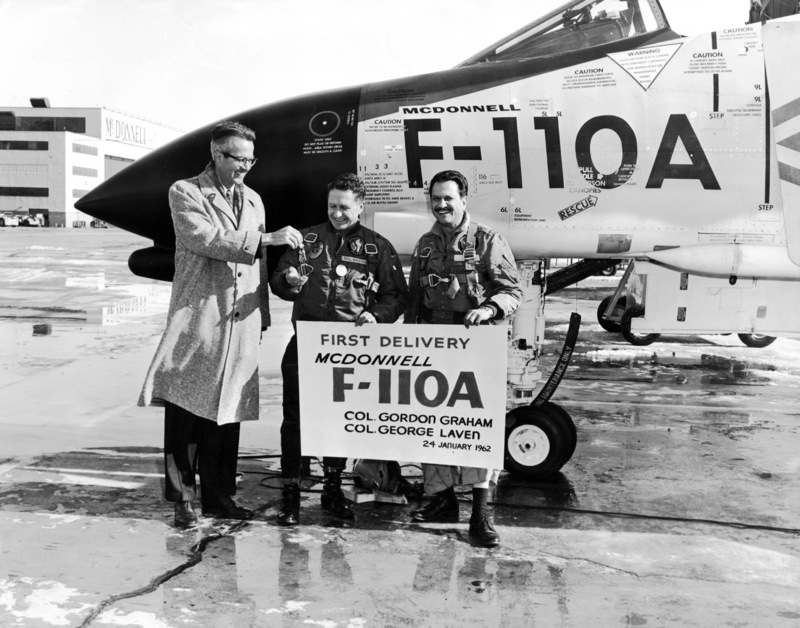 It was flown by a pilot and a Weapons System Officer. 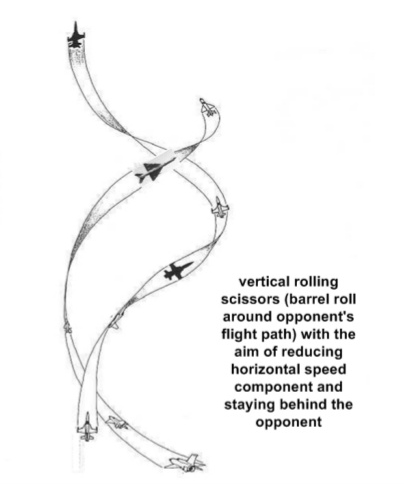 The airplane is 101 feet, 8 inches (30.988 meters) long with a wingspan of 55 feet, 7 inches (16.942 meters) and overall height of 18 feet, 6 inches (5.639 meters). It has an empty weight of 60,730 pounds (27,547 kilograms) and a maximum takeoff weight of 140,000 pounds (63,503 kilograms). 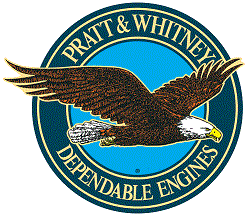 The YF-12A is powered by two Pratt & Whitney J58 (JT11D-20A) high-bypass turbojets which produce 34,000 pounds of thrust (151,240 Newtons), each, with afterburner, burning JP-7 fuel. 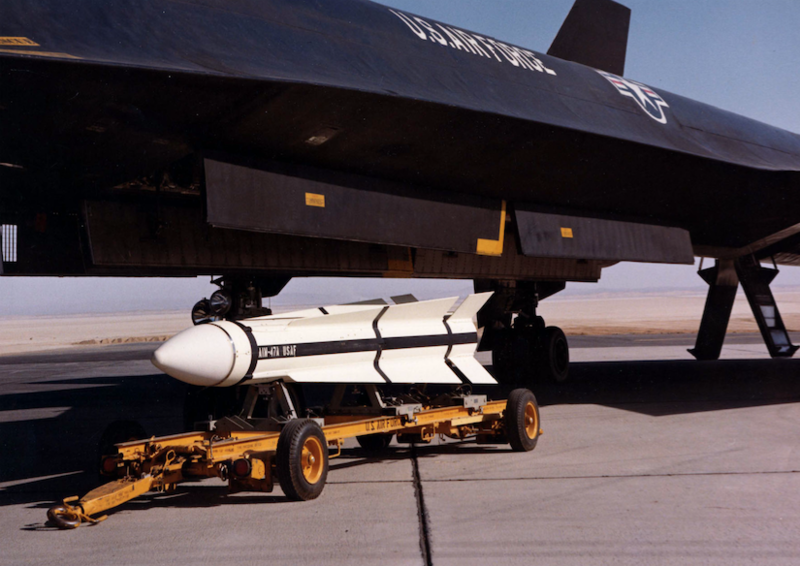 The YF-12A has a maximum speed of Mach 3.35 (2,232 miles per hour/3,342 kilometers per hour) at 80,000 feet (24,384 meters). 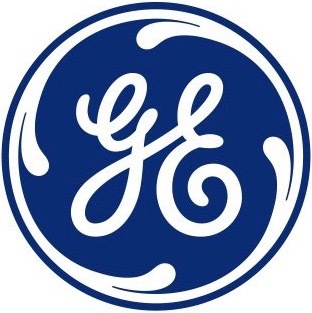 Its service ceiling is 90,000 feet (27,432 meters) and it has a range of 3,000 miles (4,828 kilometers). 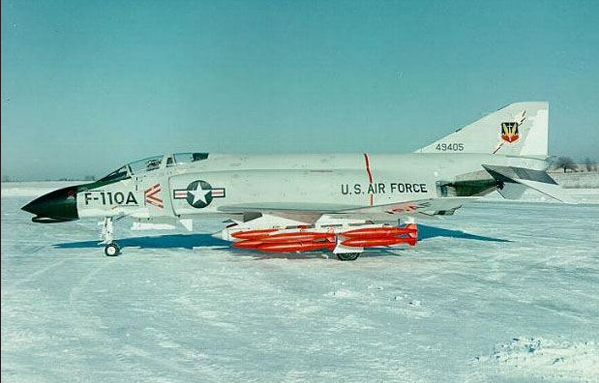 The United States Air Force ordered 93 production F-12B aircraft, which would have been armed with three Hughes AIM-47A Falcon air-to-air missiles in enclosed bays in the bottom of the fuselage. 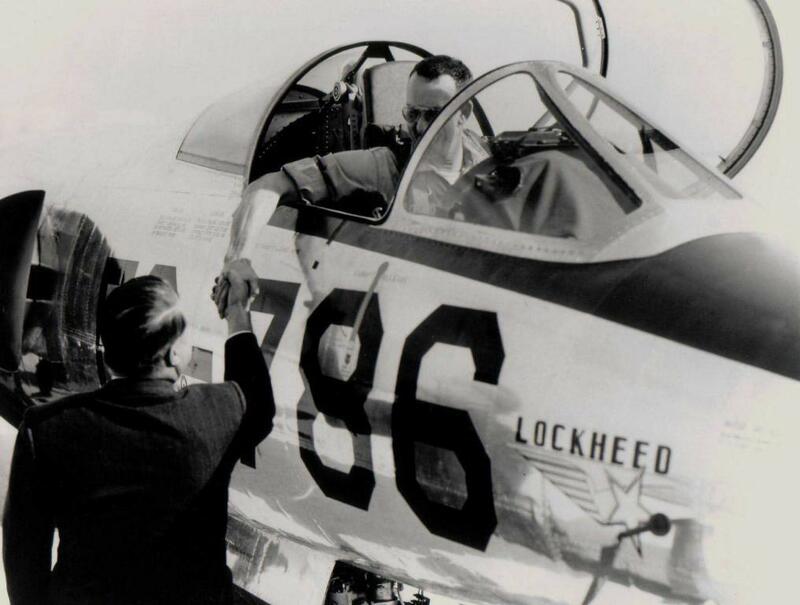 However, Secretary of Defense Robert S. McNamara refused to release the funds for the purchase for three consecutive years and eventually the project was cancelled. 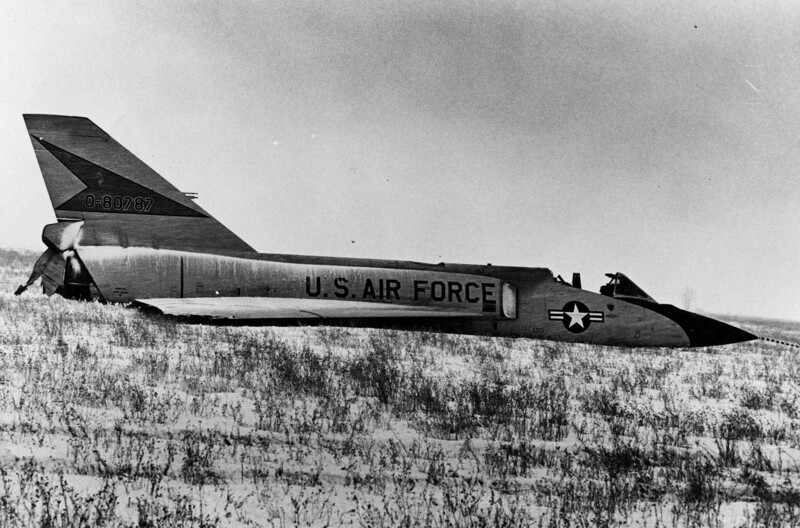 The first YF-12A, 60-6934, seen in the top photograph, was extensively damaged by a brake system fire on landing at Edwards AFB, 14 August 1966. 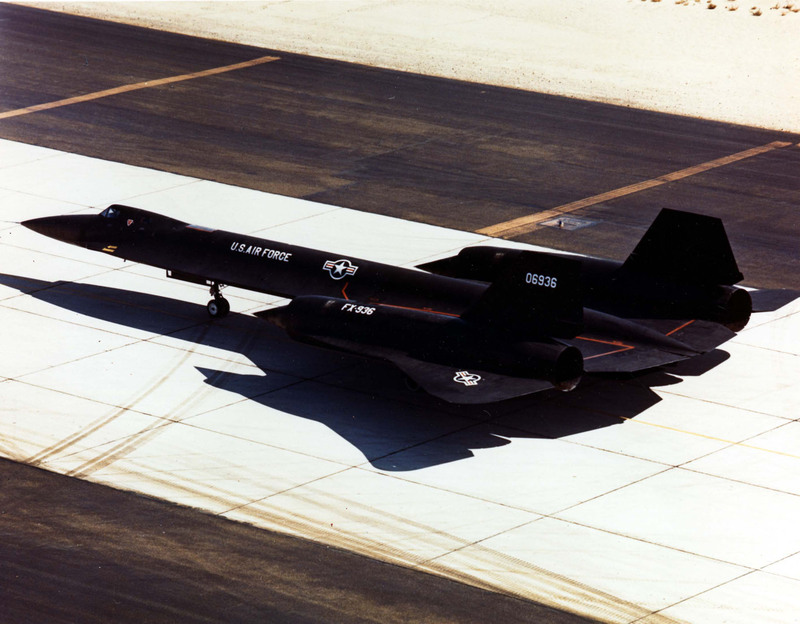 It was salvaged and rebuilt as SR-71C 61-7981. 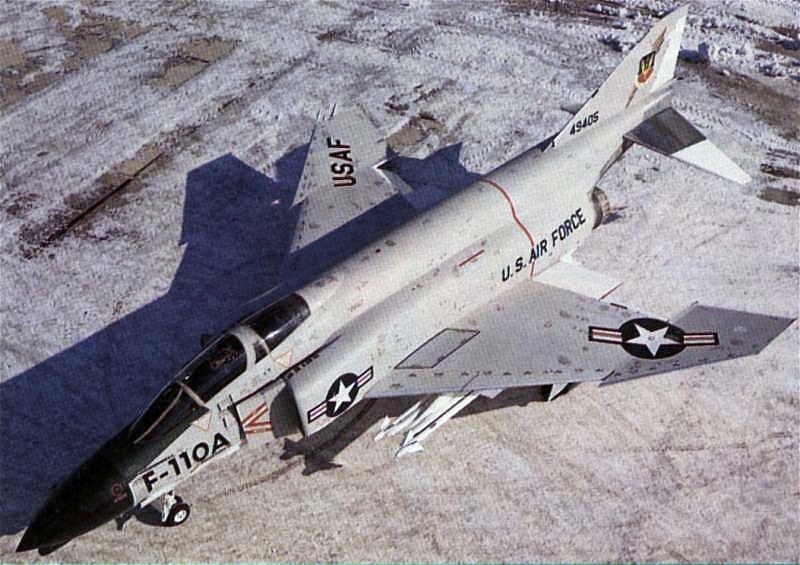 The third YF-12A, shown in the photograph below, was lost due to an inflight fire 24 June 1971. The crew safely ejected. 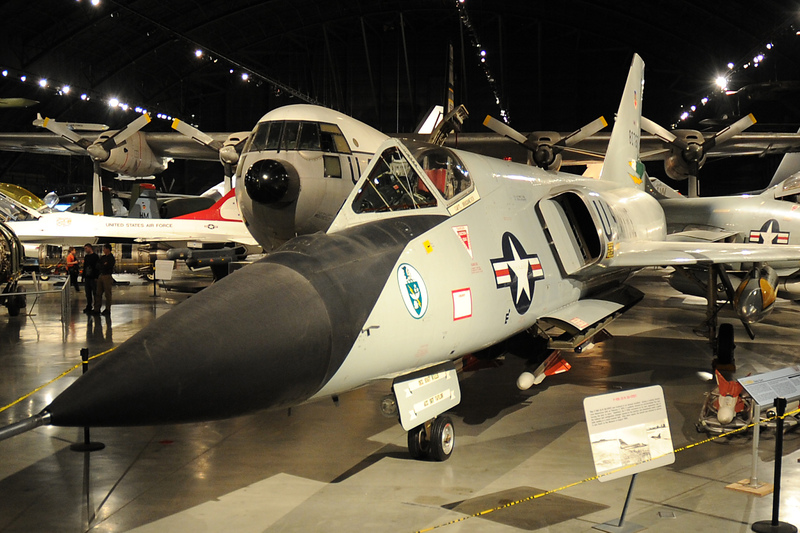 The only existing YF-12A, 60-6935, is in the collection of the National Museum of the United States Air Force at Wright-Patterson Air Force Base, Ohio.